Help for your environmental journey. Looking to further your environmental sustainability efforts in the areas of recycling, waste reduction and reuse? These resources have been provided as a starting point and assistance to your effots. Search frequently asked questions regarding infromation provided on this sight and pertaining to recycling, reduction and reuse, have fun and expand your knowledge while playing some of our environmental education games, find out about environmental related grants available for schools and school districts, and explore a wide range of additonal information in our links section, all below. We have compiled a comprehensive list of frequently asked questions and anwsers to all your recycling questions. Resources for teachers and parents. Expand your knowledge about recycling while having fun. 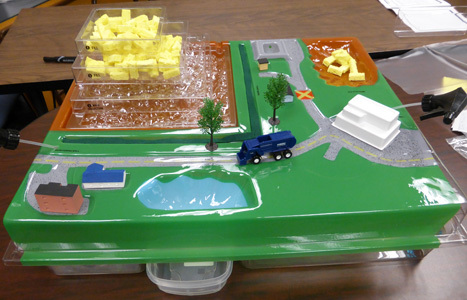 Have a solid waste educator come to your class or school and give an interactive presentation. We have compiled a list of grants that are available for recycling projects. Get money to make a difference. Other recycling resources around the world wide web.